Have you ever wondered how to pickle and why pickling was so important in Eastern Europe? Do you know why we put stones on Jewish graves and not flowers? And have you ever tried to turn a stone into a flower? 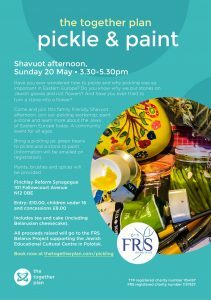 Come and join this family friendly Shavuot afternoon, join our pickling workshop, paint a stone and learn more about the Jews of Eastern Europe today. A community event for all ages. Bring a pickling jar, green beans to pickle and a stone to paint (Information will be emailed on registration). 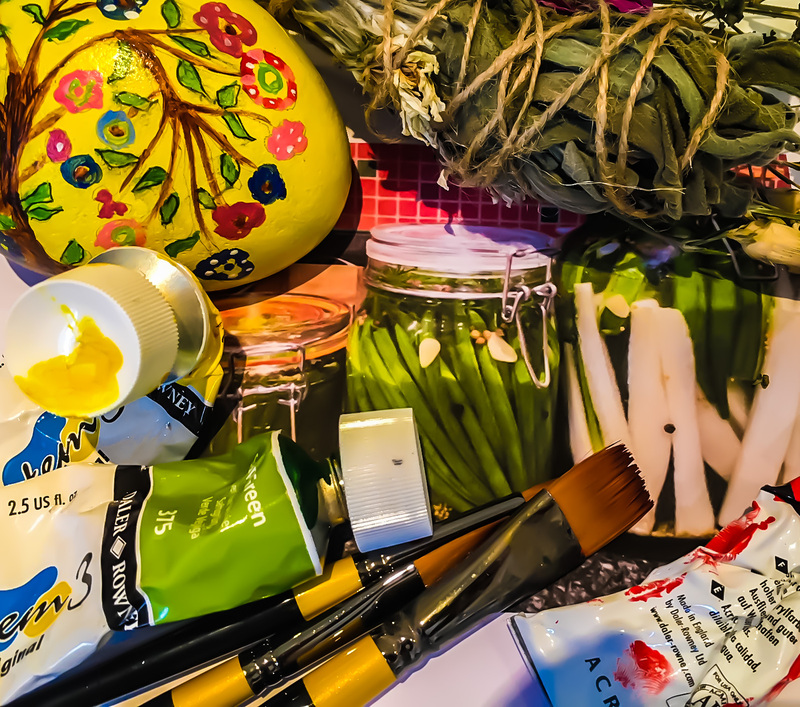 Paints, brushes and spices will be provided. Includes tea and cake (including Belarusian cheesecake).